In the technology age, are handwritten letters entirely gone? The answer is a resounding no. Handwritten letters have withstood the test of time. Think of the most thoughtful letter you ever received....where is it now? Chances are, it's stored in a safe place. But that thoughtful email you received? It might not even still be in your inbox. To place yourself above the competition, to make a mark that your clients won't soon forget, to tell the love of your life that you love them in a form they can keep forever: write a letter. That's where I come in! These letters that will travel to the post office, then to a car or plane, and arrive to their destination-- they represent you! And they start at your desk. So, let's start designing -- so you can start writing! 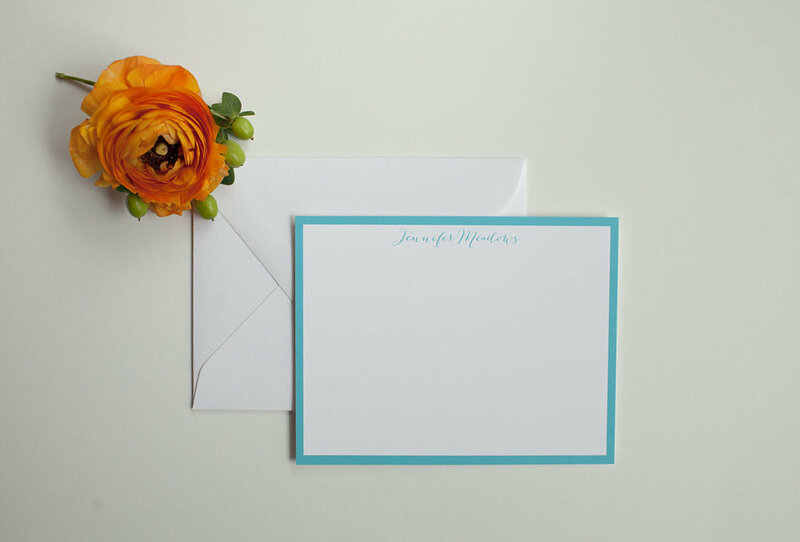 Mary Grace Paperie is a custom design boutique specializing in men and women's personalized stationery.